Medical device suppliers have to deal with producing, storing, and transporting an ever-widening range of complex products. They also operate within an industry rife with regulatory compliance and security constraints. This all leads to high supply chain costs, creating a need for medical device suppliers to create supply chain efficiencies. Click the following link download the Benchmark Study now! 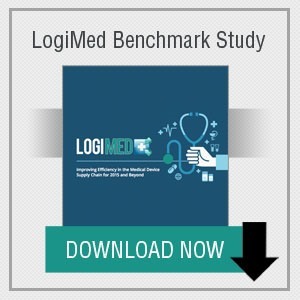 This Benchmark Study was produced by the LogiMed USA, “The Leading Medical Device End-to-End Global Supply Chain Conference.” If you are interested in learning more about similar events, please check our special event section with special discounts for SCF members ! More on how to recruit and train competent supply chain professionals. 1. "ARE YOU PREPARED FOR THE SUPPLY CHAIN TALENT CRISIS?"